LIHS resolves another Source of Income Complaint - Long Island Housing Services, Inc. In the summer of 2017, Long Island Housing Services, Inc. (LIHS) received a complaint from an individual seeking to rent an apartment from Eagle Rock Properties in Nassau County. The individual planned to take advantage of the Nassau County Department of Social Services’ “one-shot deal” program that provides financial assistance to low income individuals for a security deposit. When this individual made Eagle Rock aware of her intention to use the “one shot deal” she was told that they don’t accept programs in violation of Nassau County law. People who believe that they have experienced housing discrimination who live in Nassau or Suffolk Counties, can contact Long Island Housing Services at 631-567-5111 ext. 375 or info@lifairhousing.org. In response to the individual’s request for assistance, LIHS conducted an investigation and found evidence that Eagle Rock was discriminating against apartment-seekers on a Source of Income basis. rental assistance programs such as Section 8 (Housing Choice Voucher Program). Nassau County law provides Fair Housing protections in addition to New York State Human Rights Law and the federal Fair Housing Act. After negotiation, LIHS and Eagle Rock reached a settlement agreement that requires Eagle Rock to provide fair housing training to all of its employees involved in the apartment rental process. They will be educated on the basics of federal, state, and local fair housing laws. Additionally, Eagle Rock will be required to prominently display the Equal Housing Opportunity logo on the signs for all of their rental properties, and must maintain a non-discrimination policy that requires all staff involved in the apartment rental process to comply with federal, state, and local fair housing laws, including protections against Source of Income discrimination. Eagle Rock must also revise its rental application to affirmatively state that all sources of income are accepted. 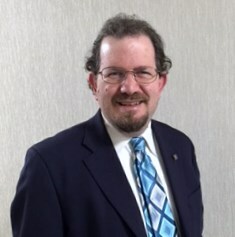 “While we’re pleased with the actions that Eagle Rock agreed to take to assure enforcement of Fair Housing laws, based on experience with other complaints that Long Island Housing Services has brought, there is still so much work to be done. 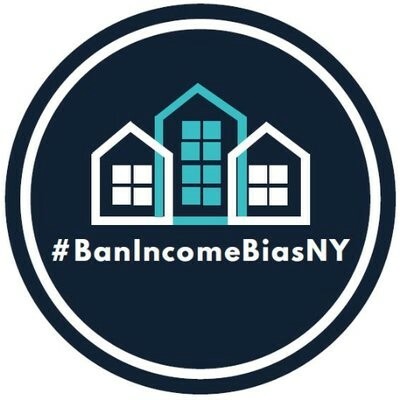 LIHS’ past work in getting Source of Income discrimination laws passed on Long Island, along with the work of our partners and supporters, sends the message that discriminatory practices based on type of income will not go unchecked. Discrimination against applicants with service dogs was also uncovered in a suit against BEA Properties. Long Island Housing Services uncovered discrimination in Nassau and Suffolk Counties toward applicants with disabilities who had service animals and emotional support animals, along with discrimination toward applicants based on Source of Income. In both cases, monetary damages were awarded and the property owners were required to provide training in Fair Housing laws to their employees. The Fair Housing enforcement and advocacy work of LIHS is supported through grants from the Fair Housing Initiatives Program (“FHIP”) of the U.S. Department of Housing & Urban Development (“HUD”) and from the Nassau County Office of Housing and Community Development (“OHCD”), which provides support for LIHS’ housing counseling and fair housing efforts with federal pass-through funds of HUD’s Community Development Block Grant program. Founded in 1969, Long Island Housing Services (www.LIFairHousing.org) is a private, nonprofit HUD-qualified Fair Housing Enforcement Organization and a federally certified, approved Housing Counseling agency. LIHS’ mission is the elimination of unlawful discrimination and promotion of decent and affordable housing through advocacy and education.